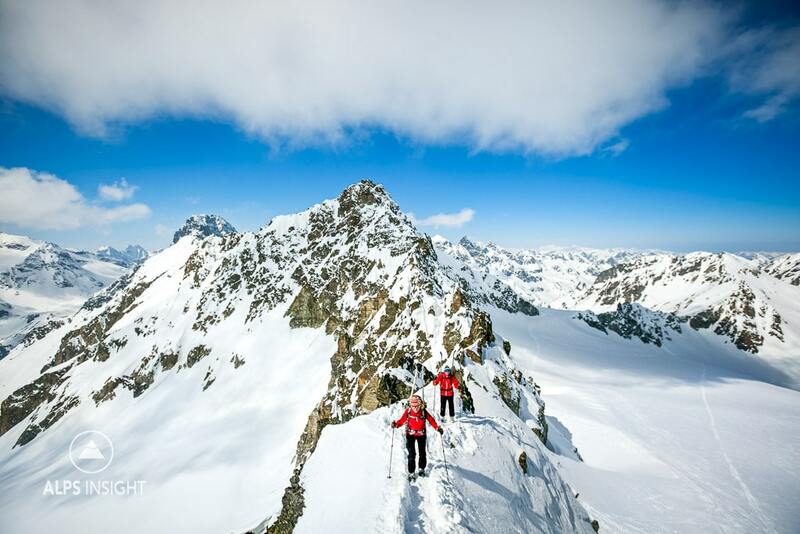 The Silvretta Traverse is Austria's version of the Ortler Tour. It combines great ski terrain for a wide range of skill levels with fun, relaxed huts. As a bonus, Austrian snow might be just a bit drier than what you find in other parts of Alps. The Silvretta Traverse starts in the ski town, Ischgl, where you'll ride lifts to access touring terrain leading into the Fimbatal. Your first overnight is just across the Swiss border at the Heidelberger Hut (2262M). This is primarily a lift skiing day and short tour. From the Heidelberger Hut you'll cross one of two passes, both around 3000 meters, before skiing down to the luxurious Jamtal Hut (2165M). In addition to having traditional hut rooms, the Jamtal Hut offers beautiful, private rooms, and a more hotel-like atmosphere. There's even a small indoor climbing wall. The third day includes an ascent of the Dreiländerspitze, a 3200-meter peak that can be skinned besides a final, short boot-pack. 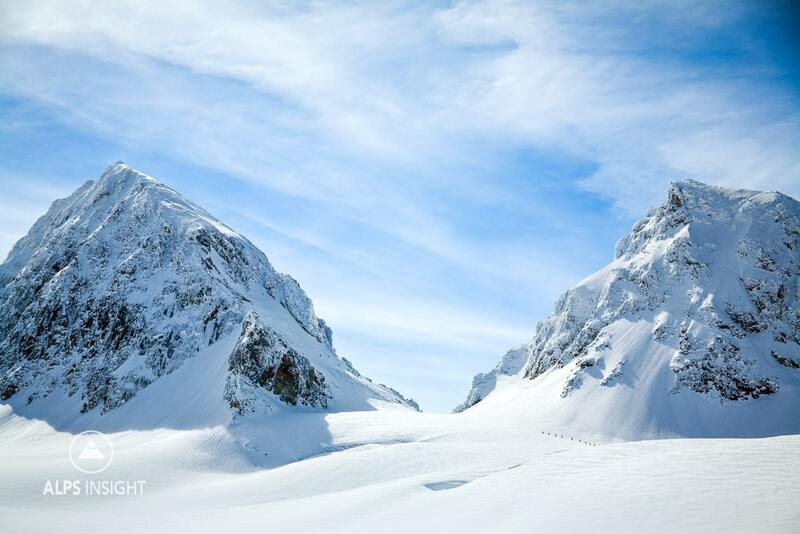 It's northwest flank and small glacier provide a great ski down to the Wiesbadener Hut. 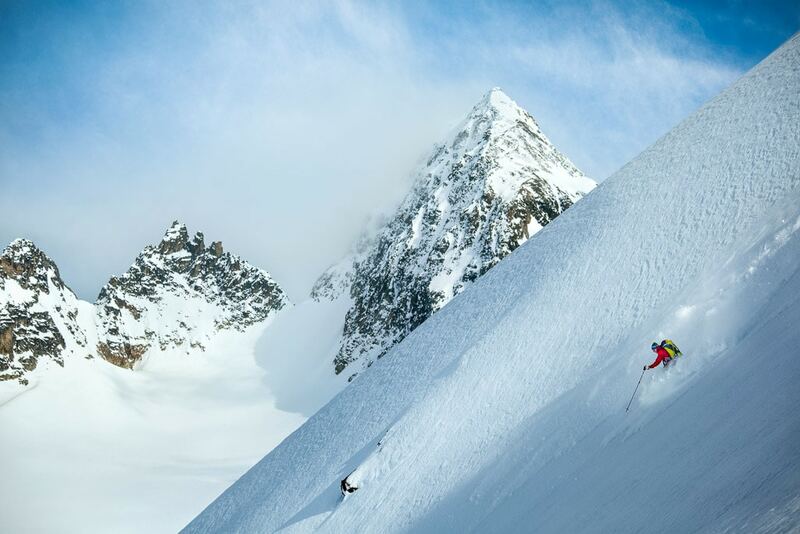 Most skiers will target the highest mountain of the region for their fourth day, the 3312-meter Piz Buin. Getting to the mountain requires glacier travel and crevasse negotiation. The Piz Buin itself requires a ski depot near the Buinlücke at 3050M before a scramble to the top, typically in a trench with crampons required. Once back at your skis, you'll access the Fuorcla dal Confin, a low pass accessing a cruising descent to the next overnight, the Silvretta Hut (2340M). The standard schedule for day 5 is to climb the Schneeglocke (3222M), and another peak. From the Schneeglocke, a long descent awaits to the final hut, the Saarbrückner (2538M). To finish things off for your final day, you'll basically only go downhill, although not very steeply, all the way to Galtür. An important thing to note from our description here is that the days are not as big as other Grand Ski Tours. They are much shorter and with less time on glaciers. 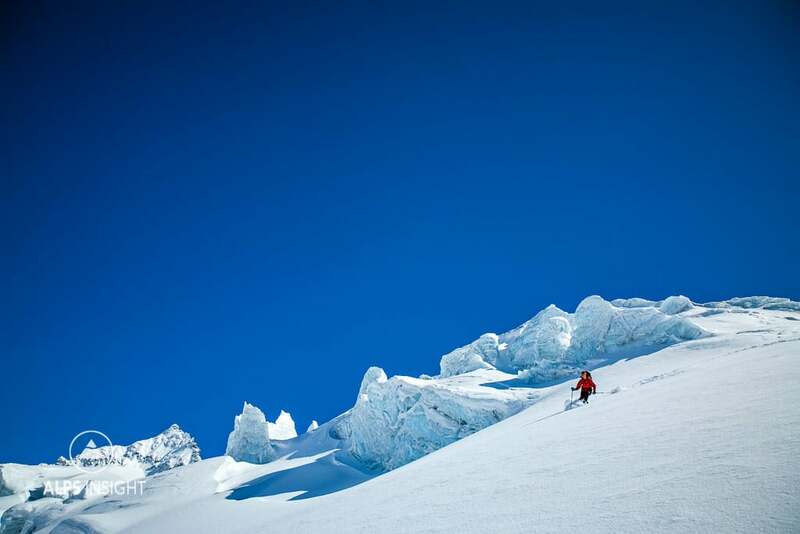 While the mountains are relatively tame and the typical stage is shorter in comparison to tours in the Swiss Alps, solid glacier skills, avalanche awareness, and mountaineering skills are mandatory. The valleys leading out of the Silvretta are prone to avalanche, and these are the same valleys used to exit in bad weather: a bad combination if there is a lot of new snow fall. Decision making skills, and the information you gather to make those decisions for big mountain terrain is critical. While this is an easier tour, it is serious terrain and our information is only to show you what is possible. This is one way through the tour, but like any ski tour, there are options, and alternative routes based on weather, avalanche danger, and snow depth. 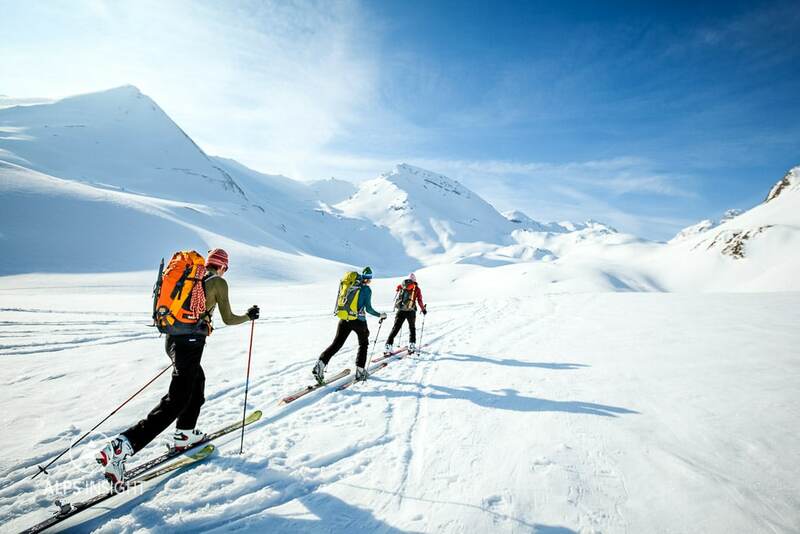 We do not provide detailed itineraries to these ski tours, instead we describe the experience and let you decide if it's the right tour for your skill level and interest. 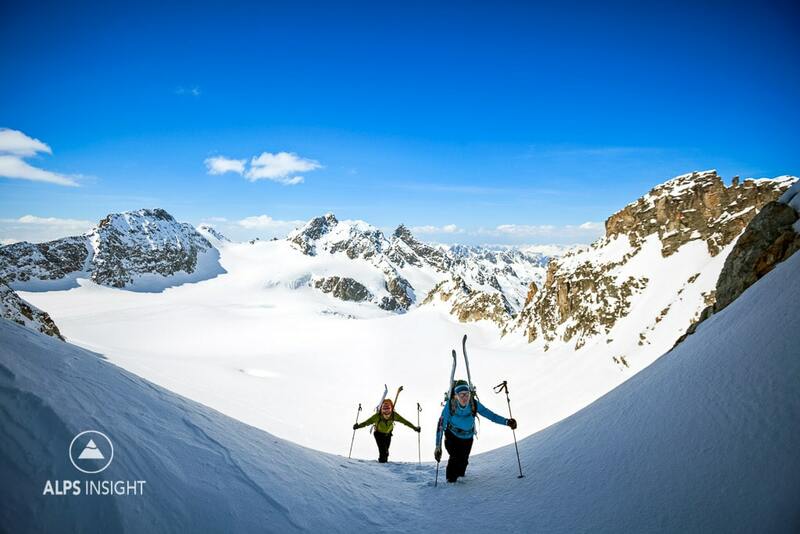 Of course we always recommend a mountain guide for all ski tours in the high Alps! 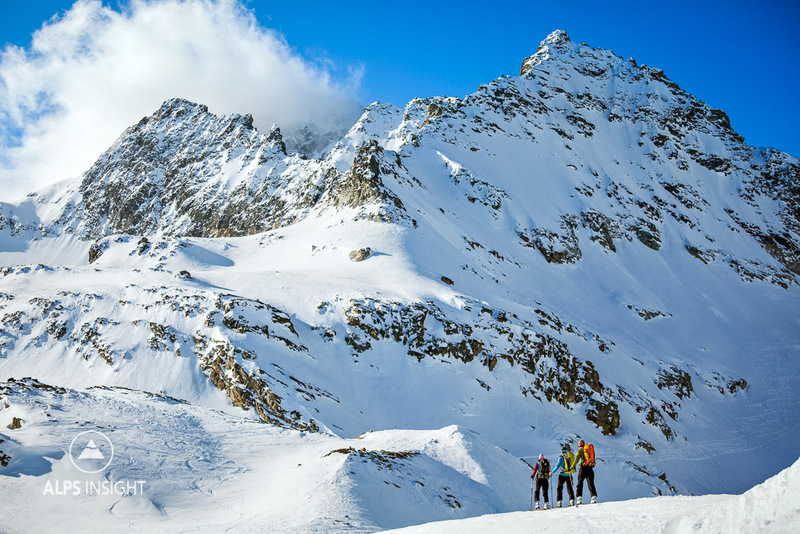 TIP: This is undoubtedly one of the best ski tours for newer skiers looking to do their first Alps' tour. 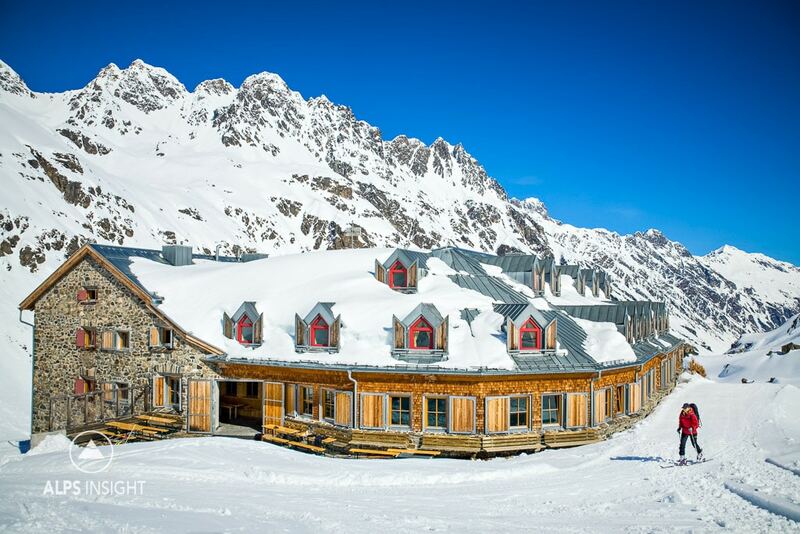 There is much to be learned on the Silvretta, and the huts are some of the best. A large group approaching the Piz Buin, left peak. Poking around in search of powder, which we clearly found!